Last month I blogged about the Ambiance Volumizing Dry Shampoo in Blonde (here), a 100% natural dry shampoo that comes in the form of a coloured powder applied with a brush, available in five colours; blonde, black, brunette, grey and red. Not only does it refresh and volumize hair, but the concentrated colour conceals those dreaded roots or areas where your hair might be thinning. I have teamed up with the lovely people at Ambiance to give away five Volumizing Dry Shampoos in each of the available colours to five lucky winners! 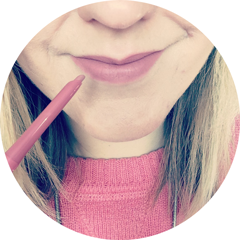 For the next five days I will post one giveaway a day, each lasting 24 hours, so please keep checking back for your colour! 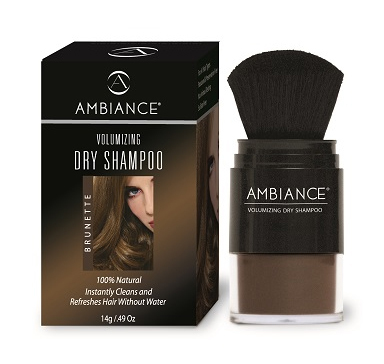 Today is the chance to win an Ambiance Volumizing Dry Shampoo in BRUNETTE. You will receive the dry shampoo as seen in the picture, along with a powder refill (as seen on the Natural Origin website here). This giveaway is open to UK residents only and the prizes will be sent direct from Ambiance. It's really easy to enter, all you have to do is enter using the Rafflecopter form below. Woohoo! Just about made it in time haha. I'm intrigued by a coloured dry shampoo, have sprayed the batiste one onto my hand in the shop and it just looked scary! !